Skinmate Supreme Beauty Salon Kit H, consisting of a versatile 3 section electric couch with gas lift head rest, which this bed has two, one which is 89cm long and has a curved end and the other which is 60cm long and has a square end. 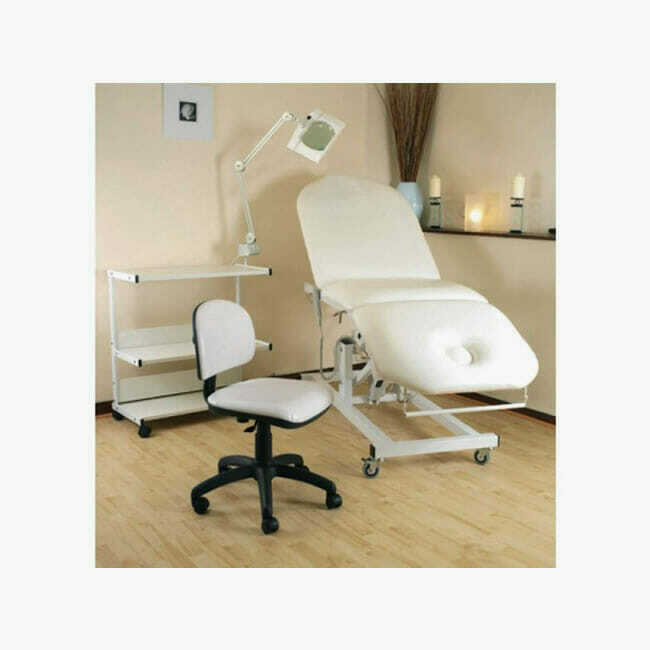 The short head rest has the breather hole in and can be raised to +55 degrees or lowered to -45 degrees. 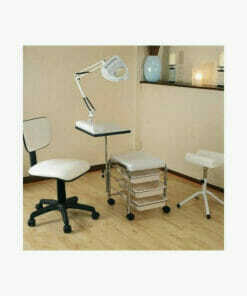 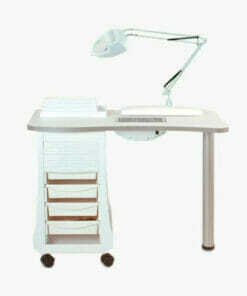 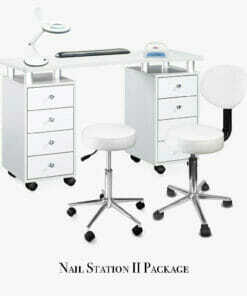 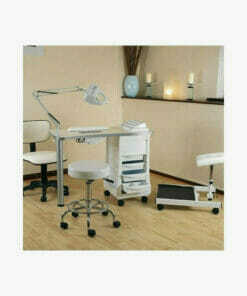 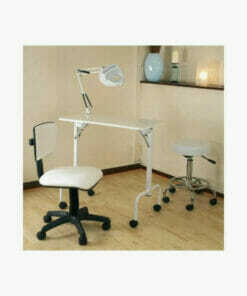 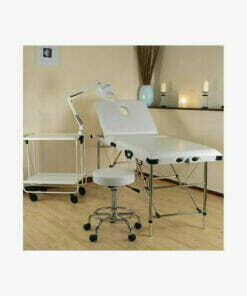 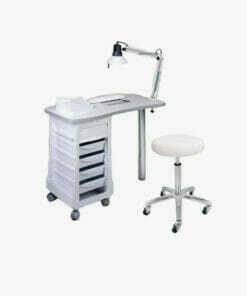 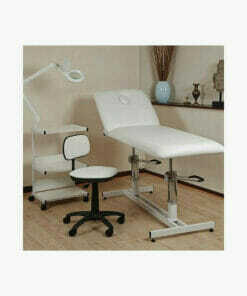 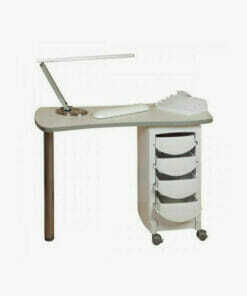 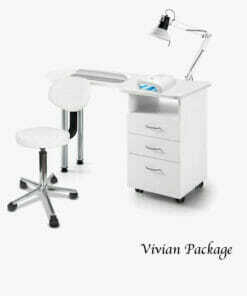 This kit also has the Elite gas lift stool with backrest, trio long storage trolley and supersize LED mag lamp. 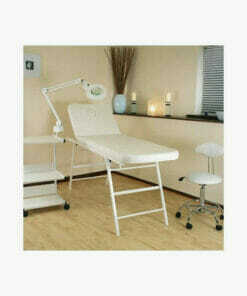 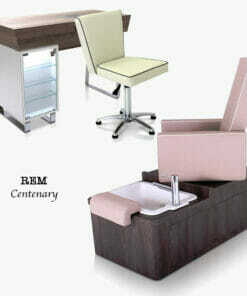 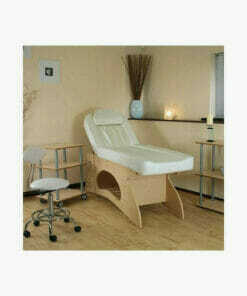 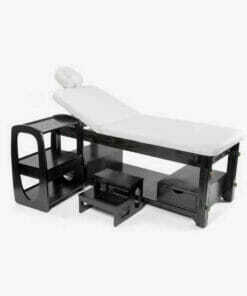 3 Section Electric Bed Dimensions Length 212cm Width 70cm and height 50-85cm.